AdvancedHUD is a mod that is entirely focused on aesthetics and customizability while not adding or changing any game mechanics. Advanced HUD will let you personalize your heads-up display. It is a mod that is entirely focused on aesthetics and customizability while not adding or changing any game mechanics. Every HUD item has its own menu with it’s own set of parameters allowing you to set each HUD item as you see fit. 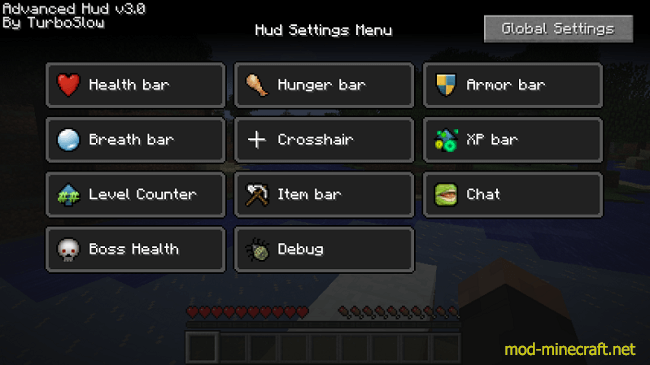 One of the key features of the mod is that you can reposition the HUD items to anywhere on the screen.